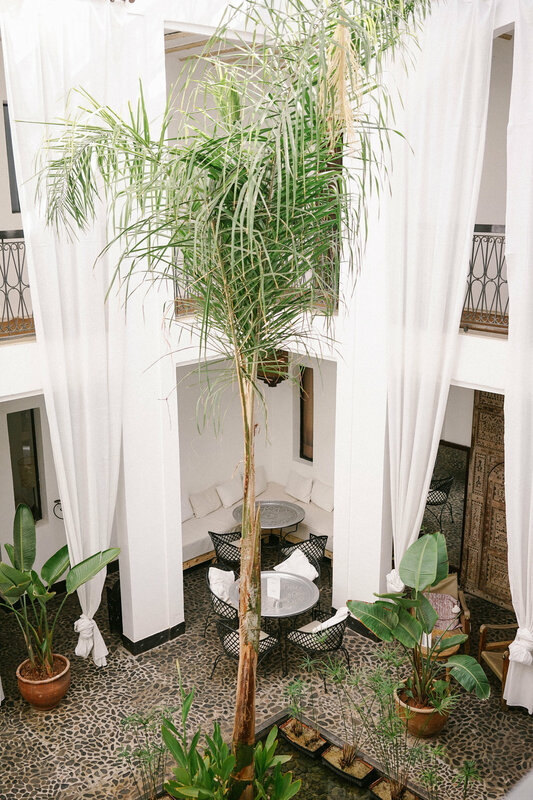 An Oasis Amidst the Chaos: Bliss Riad — monetsommers. 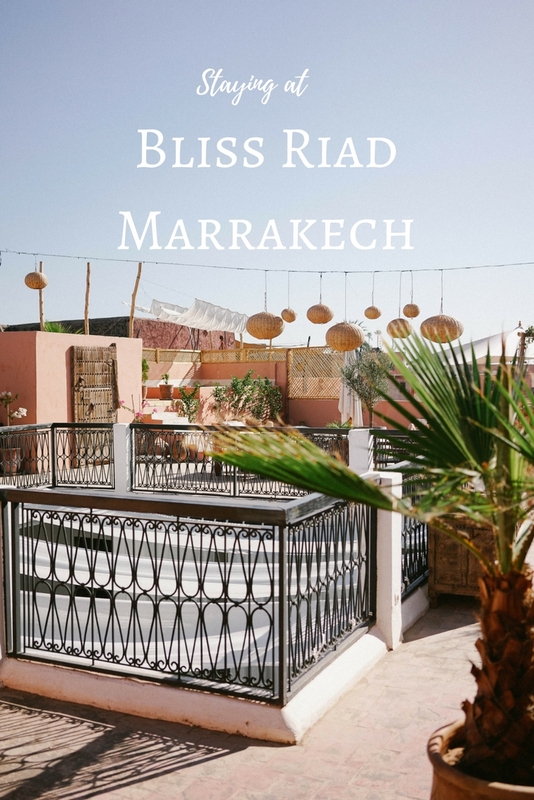 We stepped into Bliss Riad after a full day of travel (I am talking a 3+ hour drive, 4 hour plane, and almost an hour of Passport control at the Marrakech Airport) and we simply couldn't believe how gorgeous it was. 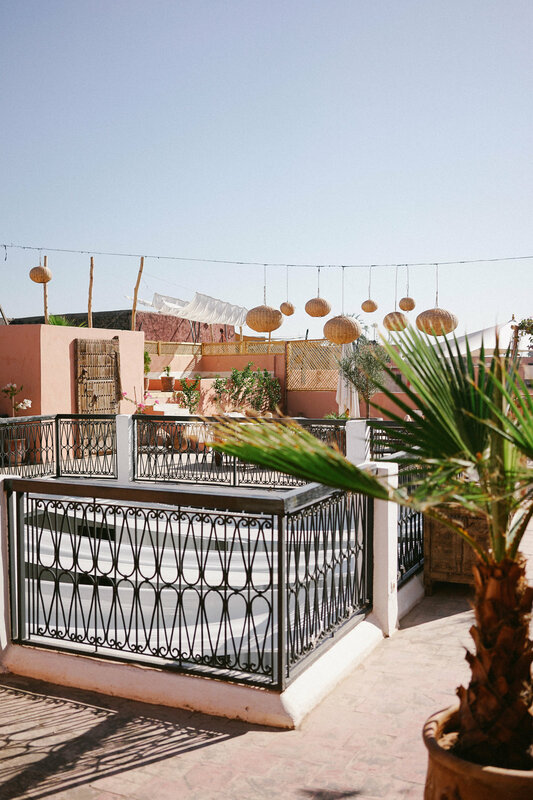 Seriously, these photos just do not do Bliss Riad justice. Not only were we amazed by the mosaic tiles and gorgeous chandelier hanging at the entrance, but it also smelled divine. The smell was like warmth and savory mixed with the cleanest, purest herbs. Might not make sense, but just go with me. It was divine! Although it was going on 1 a.m. and we were exhausted from our travels, I couldn't resist the offered Moroccan tea and cookies from our sweet host. By the way, it's the best tea I have ever had and it might be able to convert me from my coffee loving ways. After enjoying our drinks, we all sat silently in the Riad just equally nodding at how beautiful the whole space was. The staff was kind enough to leave the top terrace lit up for us to see in the evening, so before bed we took in all the views before getting much needed sleep. 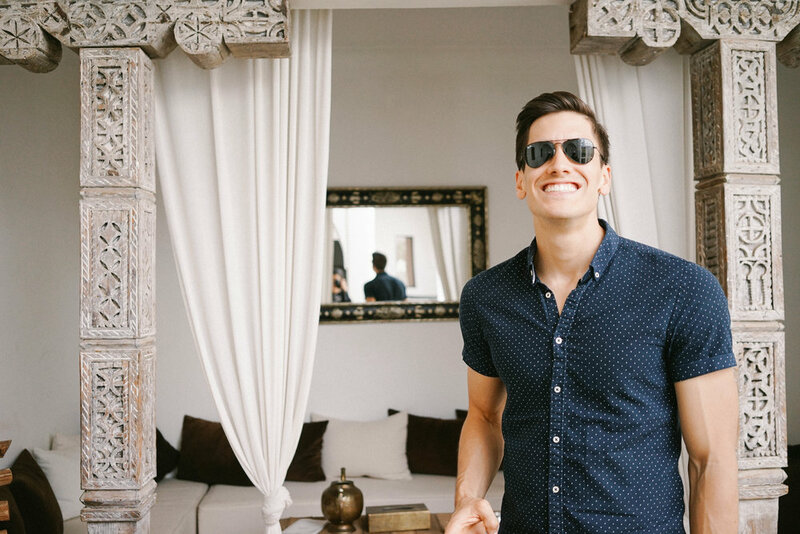 As you can see from the photos, Bliss Riad truly embraces the culture of Morocco. 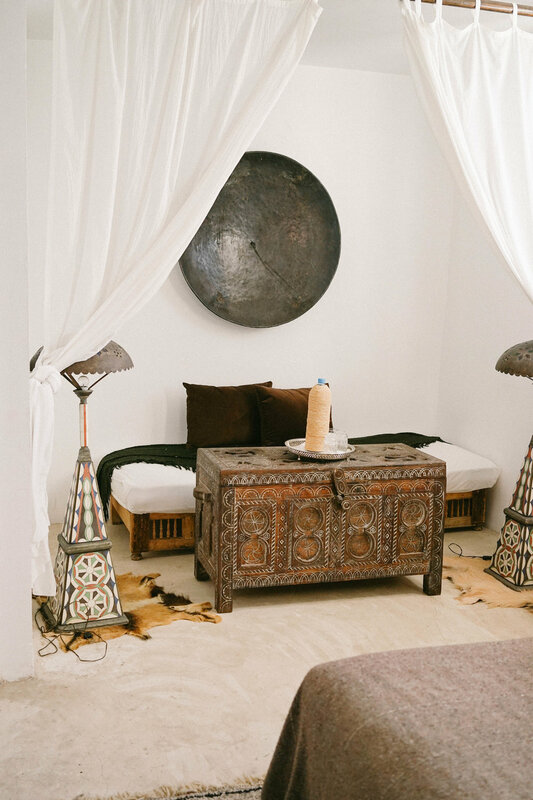 Filled with Moroccan rugs, leather goods, beautiful mosaic tiles, and greenery in every corner. It was truly an oasis amidst the chaos of the souks of Marrakech. Because Bliss Riad is a small hotel with 10 rooms, it allows the staff and host to provide a truly unique and catered experience. We typically stay in large hotels, and it was really refreshing to stay somewhere more intimate. By the end of the trip, we were sad to say "good bye" to our new friends we had met at Bliss Riad. Breakfast became my favorite part of the day (not going to lie, food is typically my favorite part of any trip). We started the morning off with fresh squeezed orange juice (a must have in Morocco), mixed fruit, delicious assortment of breads, homemade yogurt, and made to order eggs. We always ate our breakfast on the terrace and soaked up as much sun as we possibly could.